Activists involved in the opt-out movement want the state to change its tone when it comes to student refusals on state assessments. CPS back-tracked on its previous stance on Monday, saying it will give the new PARCC exam to all students instead of just those students in 10 percent of schools. The district’s decision was perhaps a foregone conclusion since the state announced that up to $1.4 billion in state and federal funding was at stake CPS didn’t test its students on the new state-mandated test, which is becoming increasingly controversial across the country. Illinois risked losing federal funds if it didn’t test 95 percent of students in the state, impossible if CPS gave the test in just a small sample of schools. “We cannot accept this risk,” School Board President David Vitale said Monday. CPS’ decision also means that the number of hours some students will spend this spring on standardized testing—a major complaint of parents and teachers—will triple, from three to 13 hours. CPS officials said they wanted to prevent such a significant amount of time spent on tests. Part of that testing time will be spent on the NWEA exam, which is not mandatory but which the district has decided to also give to elementary school students. Officials had also said the district didn’t have the technical capacity to administer the computer-based PARCC, developed by a consortium of states. CEO Barbara Byrd-Bennett said all schools had been told to prepare as though they would be part of the 10 percent, and said she understands that the situation might have been confusing to teachers and principals. “I do regret the uncertainty we have caused our schools,” Byrd-Bennett said. Though the PARCC was designed to be a computer-based test, students from third to fifth grade will take it the old-fashioned way, with paper and pencil. Sixth through eighth-graders will do it on computers. With this announcement, parent activists will turn their attention to getting parents to opt out of the PARCC, an exam that is aligned with the new Common Core learning standards. A bill to give parents the right to opt their children out of the PARCC is pending in the state legislature. Until that bill is passed, parent Cassandra Creswell said she would like to see CPS give specific guidelines to schools on how to handle parents who want to opt out. 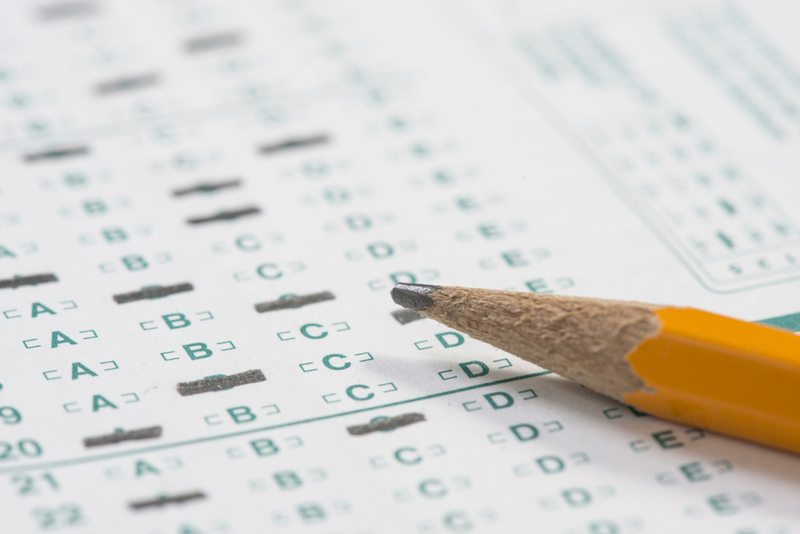 Creswell is with More than a Score, an anti-standardized testing group in Chicago. Byrd-Bennett said the state has been clear that parents currently have no right to opt out. She said CPS will put out the same information as last year. Last year, when hundreds of parents opted out and some teachers refused to administer state tests, there was a lot of confusion as to how schools should handle it. In some situations, parents were allowed to opt their children out, while in other cases, students were handed the test and had to refuse themselves. “I just hope they learned from last year and will treat families fairly and respectfully,” Creswell said. The PARCC exam has been met with ire among some parents who say schools are placing too much emphasis on standardized tests and that the PARCC—new this year—isn’t ready to be given to students. The concerns have been voiced in other states, too, some of which have pulled out of the PARCC and other Common Core-aligned tests. Creswell was critical of Monday’s announcement, saying that it gives schools little time to prepare. She and other parents worry that the announcement was delayed in order to wait until after the municipal election and, in fact, she says it did tamp down protests. CPS officials insist they were trying to negotiate a deal with the Illinois State Board of Education until the end of last week. Last Tuesday, Vitale and Byrd-Bennett sent a last-ditch letter to ISBE in which they pointed out that the federal government gave Massachusetts an extra year to comply with federal testing requirements. They suggested working with ISBE to ask the federal government for additional time. In addition, they proposed contracting with the University of Wisconsin to develop a formula to use the scores from 10 percent of students, and to incorporate scores on the NWEA and the Explore (a precursor to the ACT), to calculate district-wide scores on the PARCC. ISBE did not respond to the suggestions in the CPS letter. Then, on Friday, State Superintendent Christopher Koch and State Board President James Meeks wrote a letter telling CPS in no uncertain terms that federal money would be withheld if Chicago didn’t test 100 percent of its students. “We are putting CPS on notice,” the letter said. In addition to withholding funding, the letter stated that CPS would immediately be put on probation and would have to submit a corrective action plan in order to prevent losing state recognition and state funds. “We know that the Chicago Board of Education will do the right thing for the students of the district and will administer the PARCC assessment,” the letter reads.